The Soviet scientific intelligentsia of the post-war generation were mobilized by the government to work in science, lived semi-secretly, and created a nuclear power, though not in the traditional liberal understanding. The period from the 1950s to the 1970s was a golden age for Soviet science. Yet the field has been in decline ever since. Soviet physicists lived in closed cities and could not travel abroad, but their minds remained free, allowing them to make fundamental scientific breakthroughs. One of the main secrets of the post-war science generation that sent a man into space was that these people, particularly the generation of the 1920s and 1930s, could reconcile themselves to the contradictions and dedicate themselves to helping the country take a leap into the future. "All of the pioneers had war experience. Some experienced it as children, and some lived through WWII from the first day to the last," says Andrei Zorin, professor at Oxford University, head of the Centre for historical and cultural studies of the Russian Presidential Academy of National Economy and Public Administration. 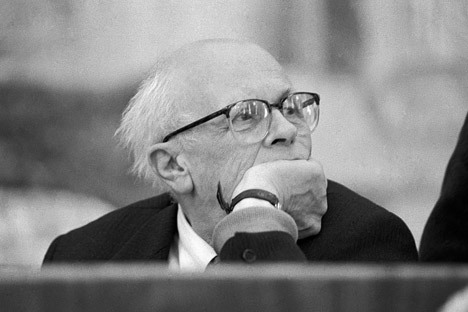 Over the next twenty years, Andrei Sakharov worked continuously on top secret projects, first in Moscow and then in a special research centre. But the scientist did not become famous for his political views until much later.